Its fridaaaaay! Which means, the weekend is here! 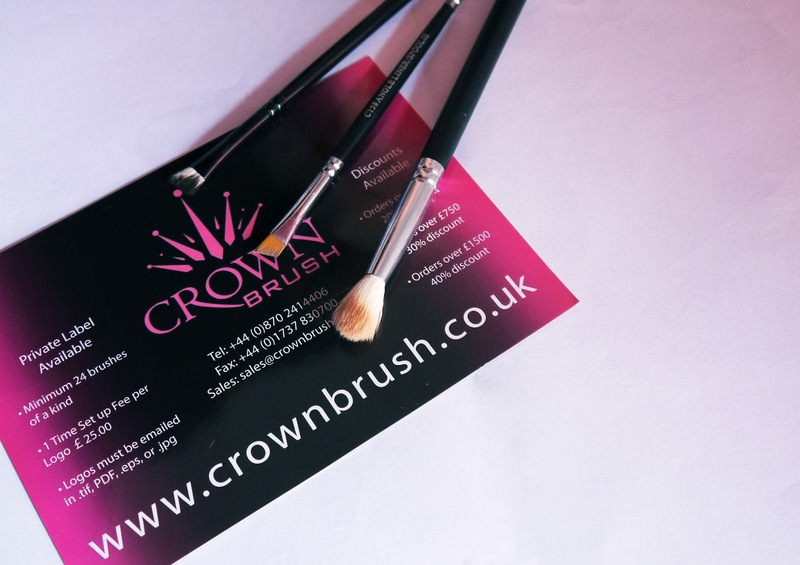 So I've got you a mini haul and review on the incredible brand that is Crown Brush! Last week I thought I would search for some make-up brushes. As much as I try to keep my brushes clean and sanitised, it isn't possible to clean every brush I use, every day. So I wanted to look for some lip, brow and cheek brushes at a much more affordable price than those in MAC. 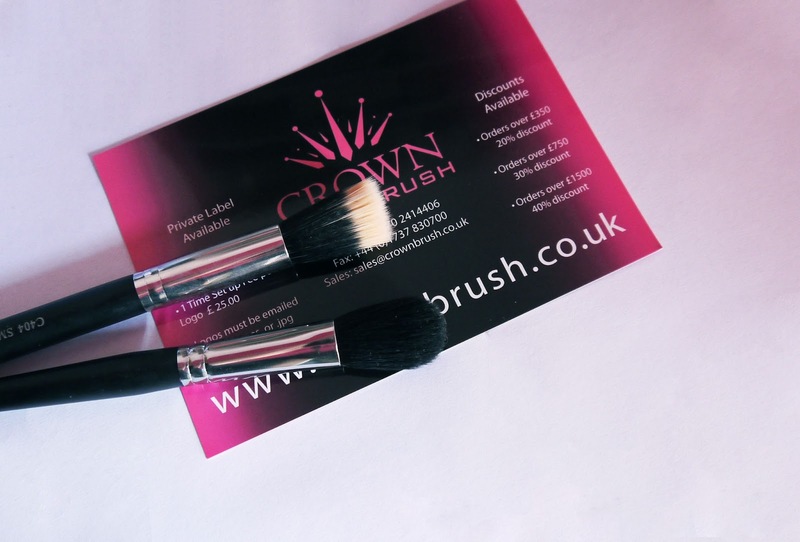 I'd heard great things about the brand Crown Brush from Zoe Newlove (check out her blog, she's an incredibly talented lady), so I thought I'd give them a go. And to clarify, these are all incredible brushes and do the job of applying lipstick perfectly. They also passed the "How well will it apply a matte MAC lipstick?" test, which is pretty hard to pass seeing as they aren't the easiest lipsticks to apply! I also really like the angled brushes for applying my favourite brow powders, Omega and Charcoal Brown. Where as I used to use a disposable mascara wand to brush through my brows, I now have the angled brush and the spoolie in the same place, which is amazing if you're forever forgetting where you've left things (like me!) The other angled brush I got after asking Zoe which brush she uses on her brows. I haven't actually got around to using it yet, but if it's anything like the others I've used so far, I know I'm well and truly in for a treat. I got this dinky duo-fibre face brush for the days when I want lightweight foundation application, and a smaller brush means you have more control over the product, and exactly how much you're applying. Its a good brush for the price, does what it says on the tin, but if you want medium or heavy coverage, this brush isn't for you. I had actually bought the little blusher brush for applying powder blusher, but after trying it with a few different products, I have come to realise that this is amazing for applying cream blushers! Because of its tiny size, its the perfect accompanying brush to the new Bourjois cream blush, as you can see exactly where the product is, and the small size makes it harder for anyone new to cream blush to go overboard with the product. I physically cannot recommend this brand enough. Their customer service is incredible, the products are incredible and the delivery is so speedy I almost thought I was seeing things when it came through my door! 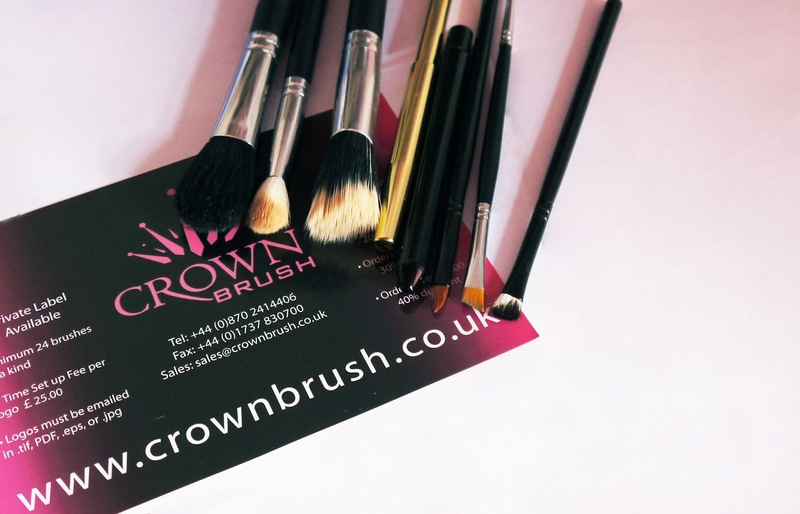 If you want to order anything from Crown Brush, find them here. It's great to see other brushes contending with Mac. Is it just me or do a couple of them look just like paintbrushes?! Following you now, popped over from bbunch blog! Hey I found your blog on the Bloggers blog hop! I love it! Also great post, I've been looking for new brushes!